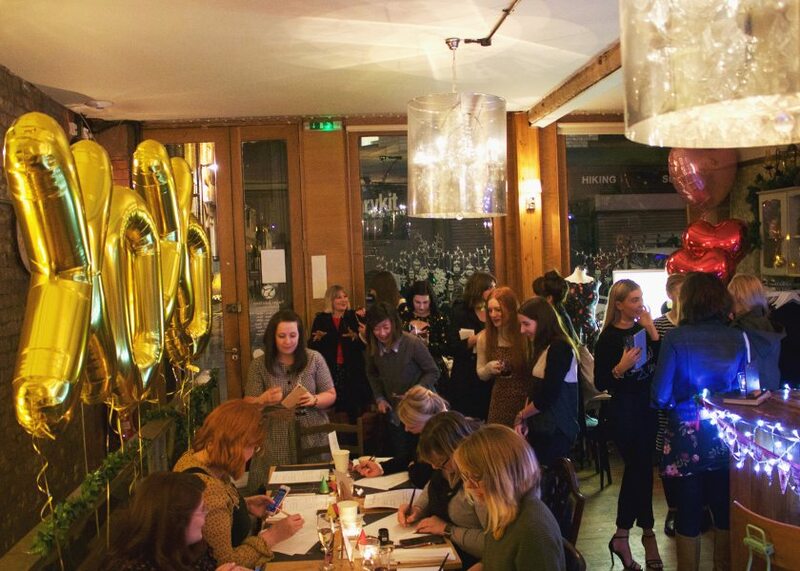 A cold Manchester Monday was sprinkled with festive glitter as the Joanie Christmas Blogger Party went off with a bang! 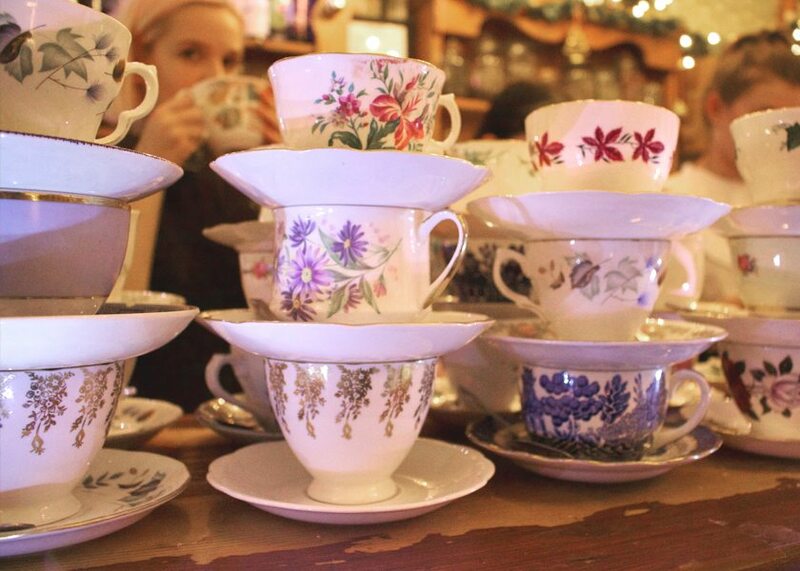 Decked out with Christmas decorations, festive frocks, fabulous accessories, mince pies and ample mulled wine the scene was set a night of laughter and loveliness at Sugar Junction Tearooms. 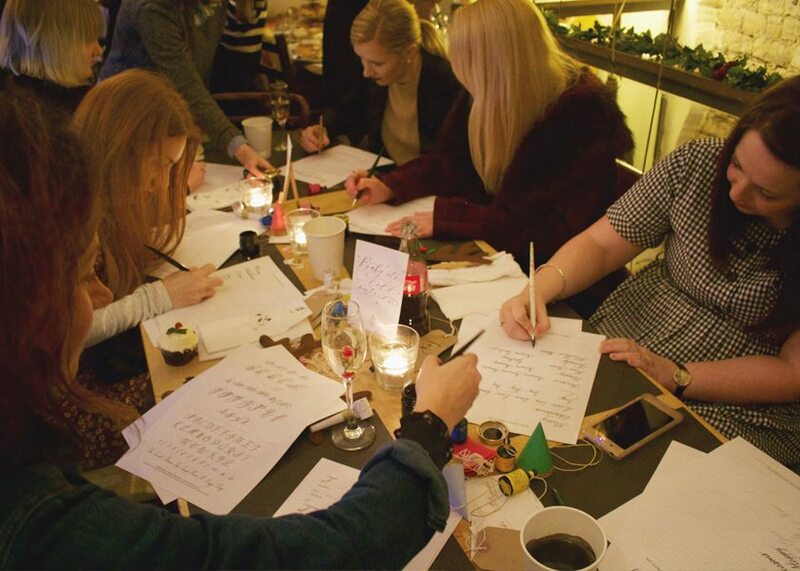 A group of darling bloggers were invited to view our Christmas collection and get a sneak peek at our new range, coming very soon! 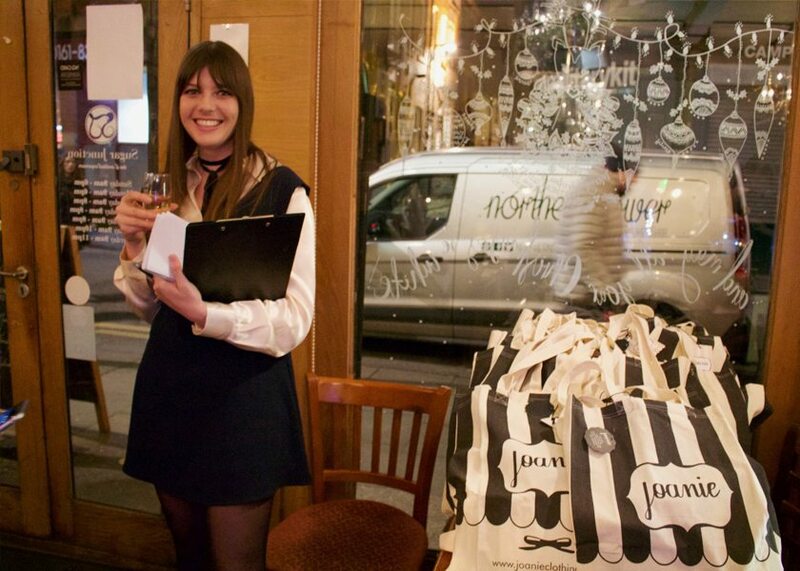 The lovely Sarah handed out envelopes with mystery prizes inside and special Joanie goody bags. A huge thank you to our special goody bag partners, we had the fabulous macarons from Time for Sweetpea, Skin health spa who provided facial vouchers and their sister brand Flint + Flint for the skincare products, Ohh Deer who offered up some gorgeous printed notepads, QVS Beauty for the makeup brushes, Invisibobble for the hair accessories and Meri Meri for the super cute cat tattoos! 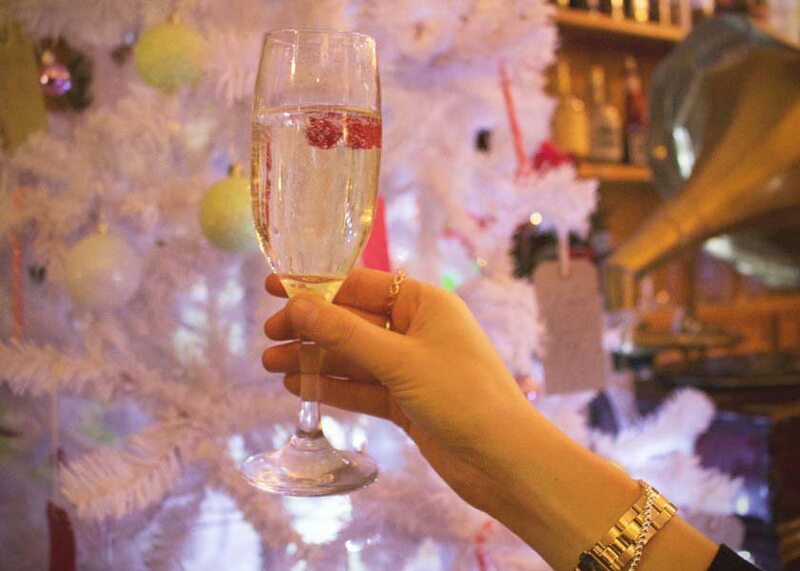 The fabulous ladies at Sugar Junction were very attentive pouring prosecco, mulled wine and cocktails. 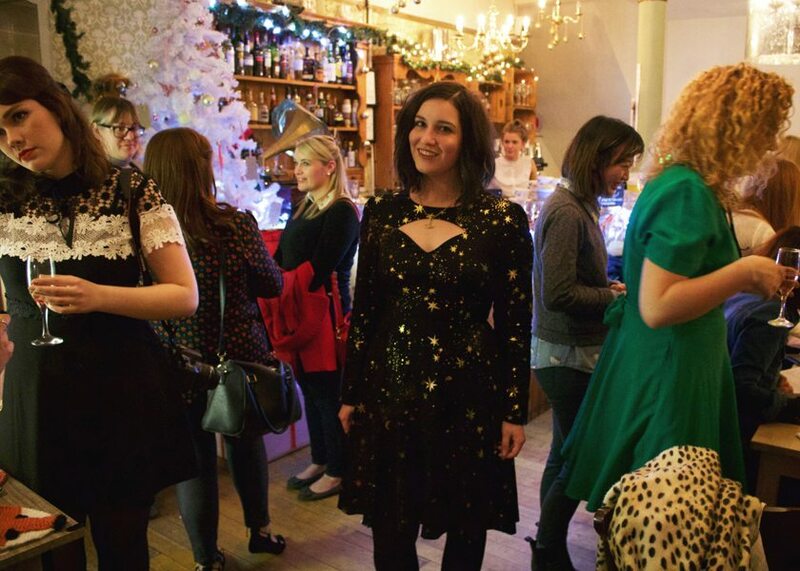 Here’s the gorgeous Gabi from She Wore it First and Harriet from Retro wanderlust blog. 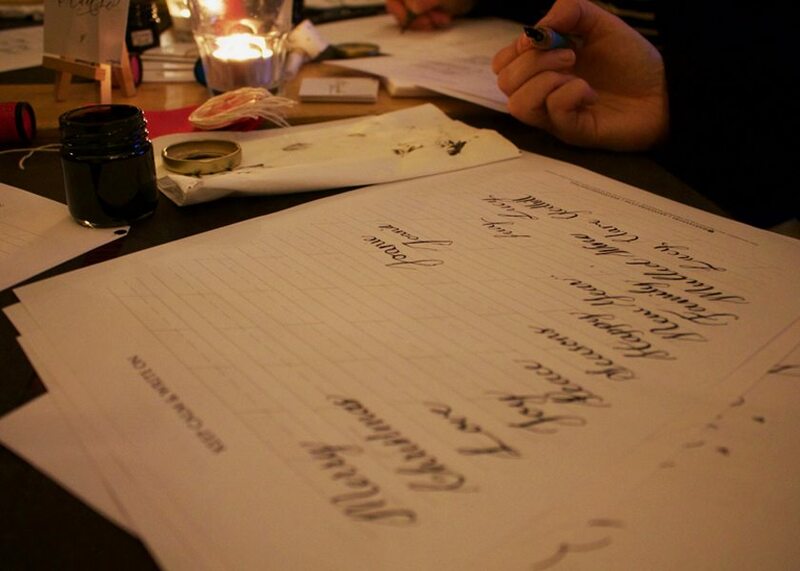 Joyce from Artsynibs was teaching calligraphy throughout the night giving everyone a chance to write their own Christmas gift labels. Thank you to Joyce for being so very patient and a wonderful teacher! 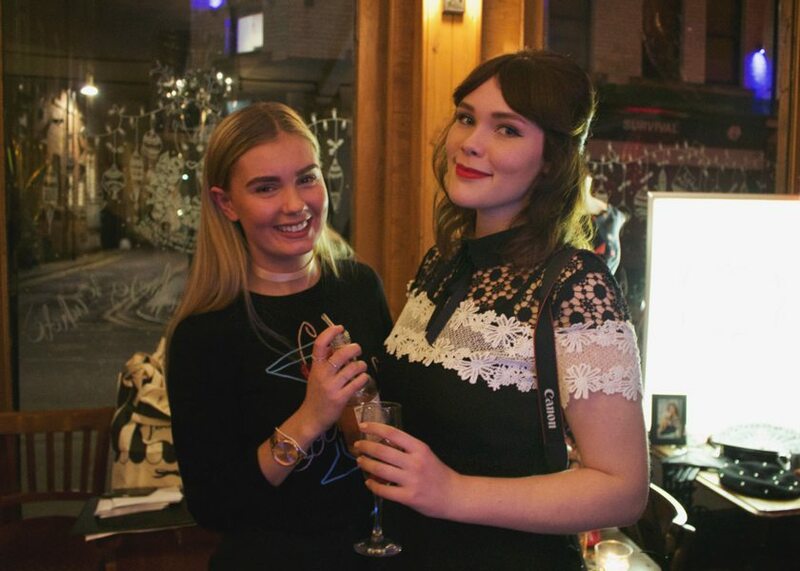 The #joaniechristmas party was a great chance to get together and catch up with some of the gorgeous girls that have modelled for us including Em from Terrible Tumbles blog and Chyaz who you may have spotted on the Joanie website and Instagram. 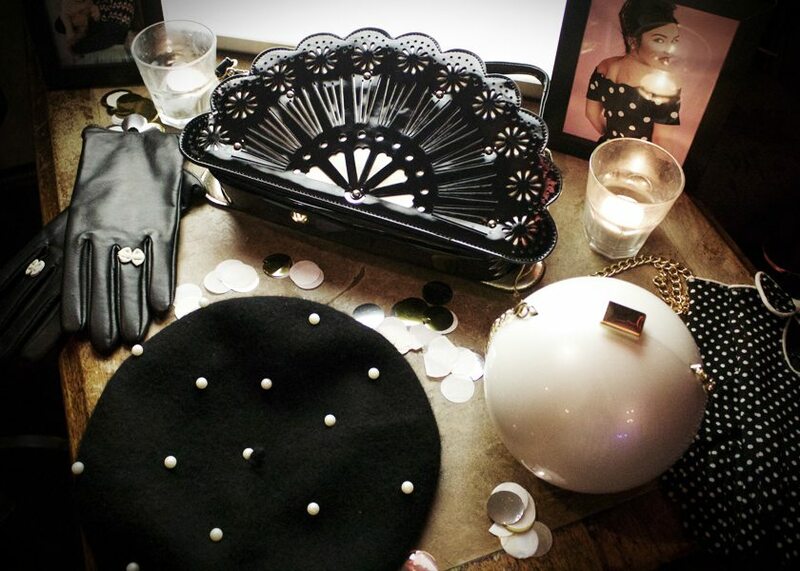 A BIG Joanie thank you to all the lovely Joanie gals that attended!